The MobileVision Bamboo Make Up Organizer is the perfect accessory to keep all your lipsticks, eyeshadows, concealers, eyeliners, mascara, nail polish and other make up items stored neatly and in order. 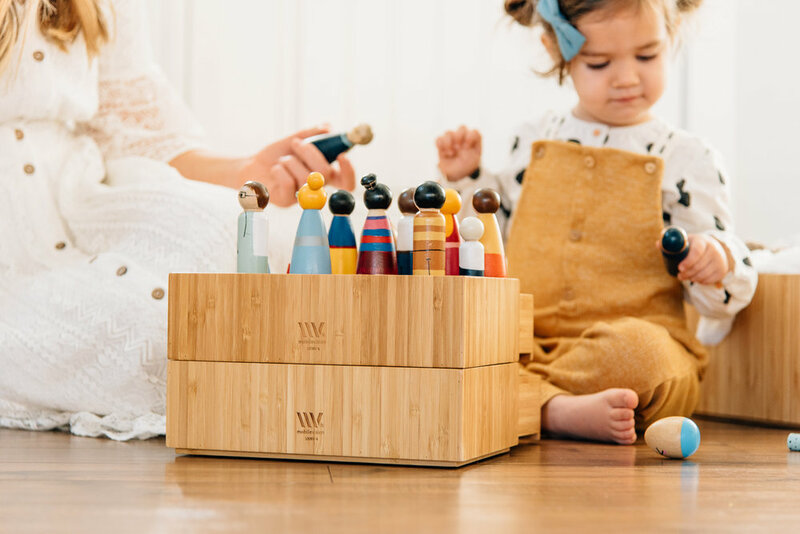 Beautiful high-quality bamboo with sturdy wooden dividers offering multiple compartments and storage options. (Dimensions: 12.75" x 7" x 5.25") Please refer to image for individual compartment dimensions. Have your lipsticks, eyeshadows, concealers, eyeliners, mascara, nail polish and other make up items gotten lost in the clutter? Use the MobileVision Bamboo Make Up Organizer to keep your cosmetics, brushes, perfumes, toiletries and more neatly organized on countertops or vanity sets. This multi-function and multi-purpose MobileVision Bamboo All-In-One Organizer is perfect for any chaotic environment like your bathroom area, make up stations, vanities, dressers and more. Keeping an organized storage area for items you use every day can make all the difference. Stop rummaging through make up bags or cheap plastic boxes and give every item a place in this stylish and sturdy solution. A perfect gift for to anyone needing a little more storage and organization.